Ho Chi Minh….Amar nam, Tomar nam, Vietnam,Vietnam – This & That..
A fertile land riven by a civil war fought between guerrillas and armed forces brought in from outside, with defenceless peasants caught in the deadly crossfire. Liberal voices of protest against aggression brutally suppressed by the powers that be. A political backlash that threatens to cleave the country in two. Vietnam in the 1960s. In Vietnam, the Americans justified their intervention on the grounds that they were protecting the dubious democracy of South Vietnam (a client state of the so-called US ‘industrial-military’ complex). In the context of Vietnam, a self-righteous America claimed that it was keeping the world safe for democracy and freedom. Vietnam divided America as nothing else had since the US civil war. 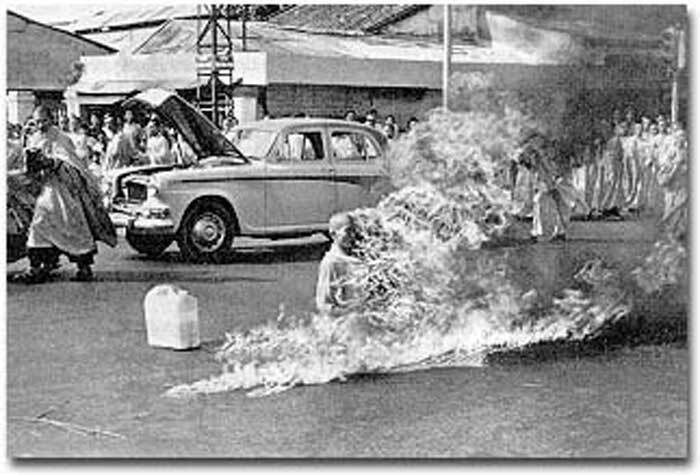 Vietnam, today is not a geographical locale but a generic symbol, an all-encompassing rallying point of protest against the oppression of the powerless by the powerful, a conflict between traditional ways of life rooted in the land and the unstoppable juggernaut seems fated to become a slogan. In the Bengal of the 1960s, the protest chant of solidarity was ‘Amar nam, Tomar nam, Vietnam Vietnam ‘ Literally translated it would mean,‘My name, Your name, Vietnam Vietnam’.The word ‘name’ in Bengali rhyming with the ‘nam’ of Vietnam giving it the popular zest for the slogan.Along with this the name of Ho Chi Minh reverted the air.He was the most famous Vietnamese revolutio nary and statesman of his time. 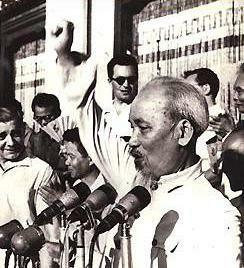 Vietnam and Ho Chi Minh had been a household name in India, particularly in Kolkata between 1945 and 1975. This was the period when Vietnam was engaged in its fierce fight for liberation of its fatherland from the French colonialists, Japanese fascists and US imperialists. During Vietnam’s 30 years’ long liberation war, the people of India in general and of West Bengal in particular, extended their wholehearted solidarity, moral and material support to the valiant and patriotic people of Vietnam. Almost all political parties of India, intellectuals, students, particularly those of Calcutta did not only organize demonstrations but even dared to face the bullets of the British rulers in 1946 . A Unique incident of its kind took place on 19th May 1970, when thousands of youth and students expressed their anguish regarding the brutal US aggression on Vietnam shouting the slogan – “ Hands off Vietnam”, in front of the American Consulate situated at the then Harrington Street in Central Kolkata. Spontaneously a section of young demonstrators decided to rechristen the name of the street as Ho Chi Minh Sarani, and erased out the old name of the street replacing it with the new one. The new name Ho Chi Minh Sarani was officially approved years later by the local municipality. Kolkata is possible the first city in India where not only a street is christened after Ho Chi Minh but where his bust gifted by the Vietnamese people is also installed in a square near by.When Ho Chi Minh came to India on his first official visit in January 1958, he made it a point to visit Kolkata where he was accorded a tumultuous civic reception. 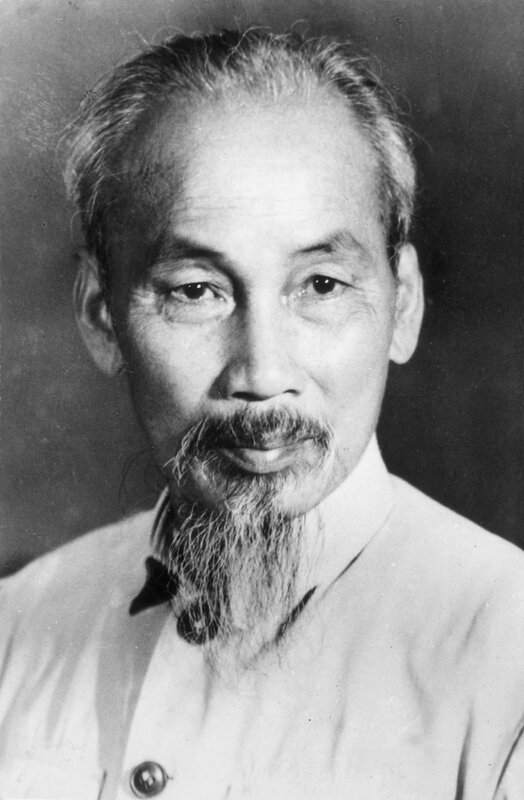 An emaciated, goateed figure in a threadbare bush jacket and rubber sandals, Ho Chi Minh cultivated the image of a humble, benign “Uncle Ho.” But he was a seasoned revolutionary and passionate nationalist obsessed by a single goal: independence for his country. Sharing his fervor, his tattered guerrillas vaulted daunting obstacles to crush France’s desperate attempt to retrieve its empire in Indochina; later, built into a largely conventional army, they frustrated the massive U.S. effort to prevent Ho’s communist followers from controlling Vietnam. For Americans, it was the longest war — and the first defeat — in their history, and it drastically changed the way they perceived their role in the world. 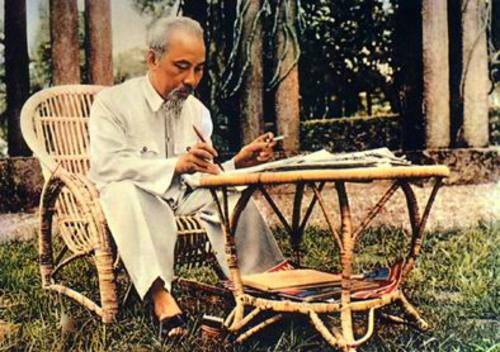 Ho was born Nguyen That Thanh on May 19, 1890, in the village of Kim Lien, province of Nghe An, central Vietnam, into a family of scholar-revolutionaries, who had been successively dismissed from government service for anti-French activities. At the age of 9 Ho and his mother, who had been charged with stealing French weapons for the rebels, fled to Hue, the imperial city. His father, constantly persecuted by the French police, had left for Saigon. After a year in Hue, his mother died. Young Ho returned to Kim Lien to finish his schooling. At 17, upon receiving a minor degree, Ho journeyed to the South, where he spent a brief spell as an elementary school teacher. 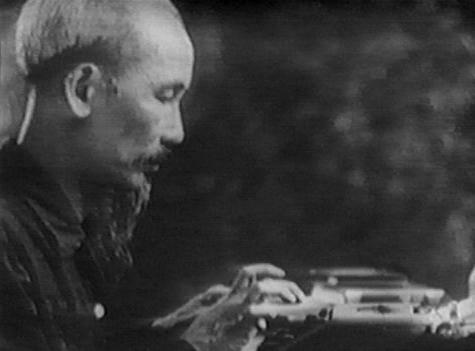 In the 1920s and 1930s Ho operated in the murky underworld of the Vietnamese independence movement, and was a founding member of the Communist Party in Vietnam. 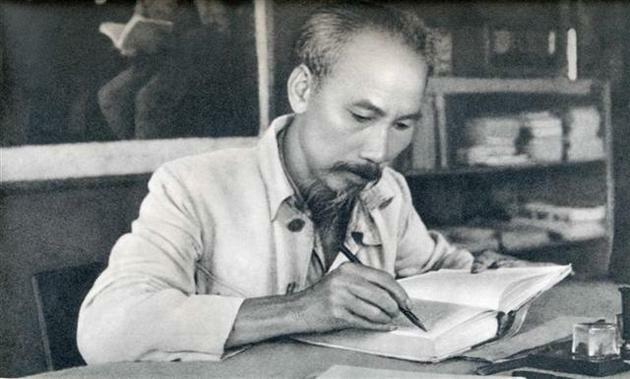 During WW II, Ho and his communist group, which included the military leader Vo Nguyen Giap, formed a base near the Chinese border and acted, with American support, against the Japanese occupation force. The Vietminh was able to exploit the chaos which descended upon Vietnam at the end of WW II to seize power, and the Democratic Republic of Vietnam was proclaimed by Ho on 2 September 1945. However, the situation was far from stable. Kuomintang troops had flooded the city less than two weeks before, and the French government was already making plans to reassert control. The fragility of Vietminh control was quickly exposed in 1945-6, and Ho was forced to return to the communist stronghold near the Chinese border. The following eight years witnessed a monumental struggle on the part of the Vietnamese, to create an army and a logistical network capable of defeating the French, in Indochina. 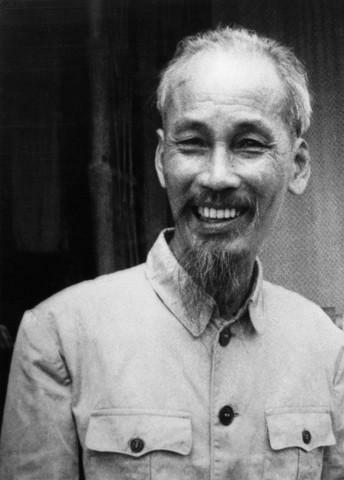 Giap’s victory at Dien Bien Phu in 1954 delivered such a victory, but Ho was disappointed by the peace conference which granted the Vietminh control of North Vietnam. 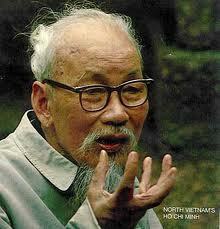 He died in Hanoi six years before the unification of Vietnam under the regime he had created. A Marxist who believes in God with explicit permission from Karl.